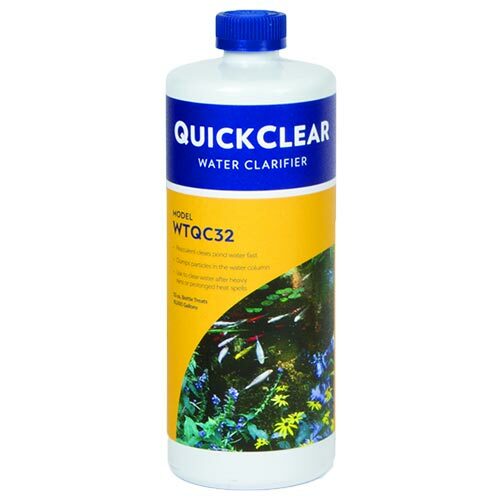 QuickClear restores brilliant clarity to water clouded by sediment or organics by causing particles to clump together and drop to the bottom. Once out of suspension, debris can be easily filtered or vacuumed out. Aeration recommended to maintain oxygen levels for fish especially in hot weather. Application Rate: Apply 1 oz per 500 gallons every three days until pond becomes clear. For Best Results: Apply QuickClear to the area of greatest circulation to ensure the product will be dispersed throughout the entire pond.